October being my favorite month, mostly due to Halloween, so I’m particularly sad that this month is over. It was a hell of a busy month! We moved into our first house and I swear that alone ate up our whole month with planning, packing, moving, cleaning, projects. Ugh! I could seriously use another week or two of October. But, sadly, November is upon us and I’m sure this month will fly by just as fast! Take a look at my four favorite posts from this past month and be sure to tell me down below what your favorite was! And before you ask, this house may have multiple bedrooms but that by NO MEANS suggests that there will be any need to fill them. So stay out of here with that baby talk! A big thank you to all the people who helped us along the way. We really were children going into this with no concept of how this process works or any of the changes in the transition from renting to owning. Of course, with a big life change like this, I’ll be writing many posts about the process for the months to come so stay tuned! For those who don’t know or those who are new, I’m a full time interior designer so I’m more than ready to sink my claws into this project! Leave me a comment below and let me know if you’d like to see before/after pictures as we design our home! If you ever wondered if I find my own play on words amusing, the answer is yes! 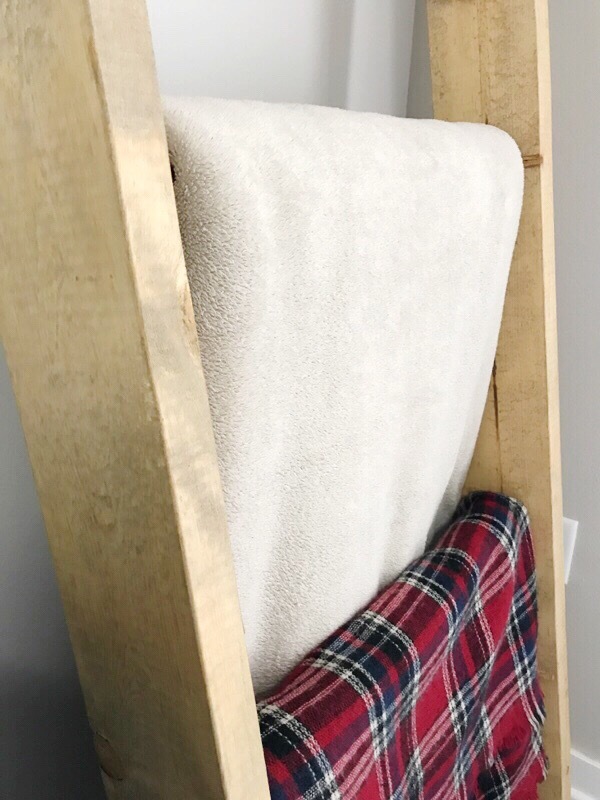 But seriously, this blanket ladder shelf makes wrapping up in a cozy blanket all the more enticing and chic. These ladder shelves are so on trend right now throughout the design community. You know I had to get my hands on one of these! The best part is, I have a very good imagination and a handy husband. We built this piece ourselves and had a blast doing it! Our home was needing something extra to fill this awkward gap we have in our living room. 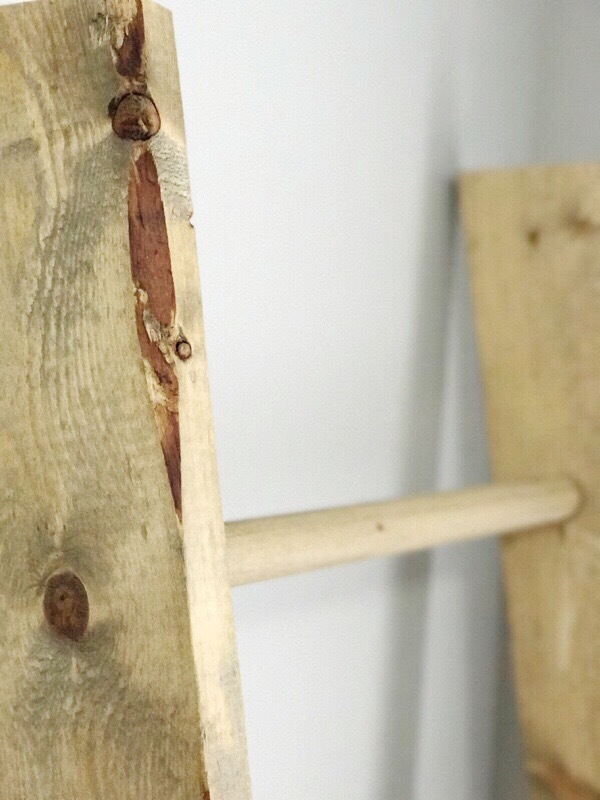 I have been eyeing some super cute ladder shelves for a while now; so, I finally decided to pull the trigger and build my own! 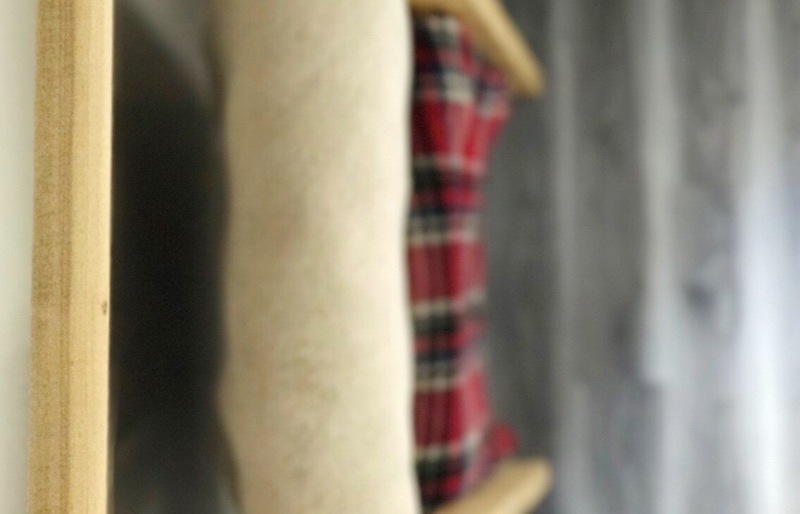 They’re a design friendly way to display blankets in living or bedrooms, towels in bathrooms, or even scarves in your bedroom, if you’re like me and have stupid crazy amount of scarves. These shelves are great to use throughout your home and can serve so many purposes! It’s a great way to shake up the design of your home without needing to purchase anything down the road. If you get tired of where you have it, you can move it and completely change its purpose. It always blows my mind how little closet space homes have; but, you won’t need to worry about hiding your items in closets when you can display them this easily and beautifully! 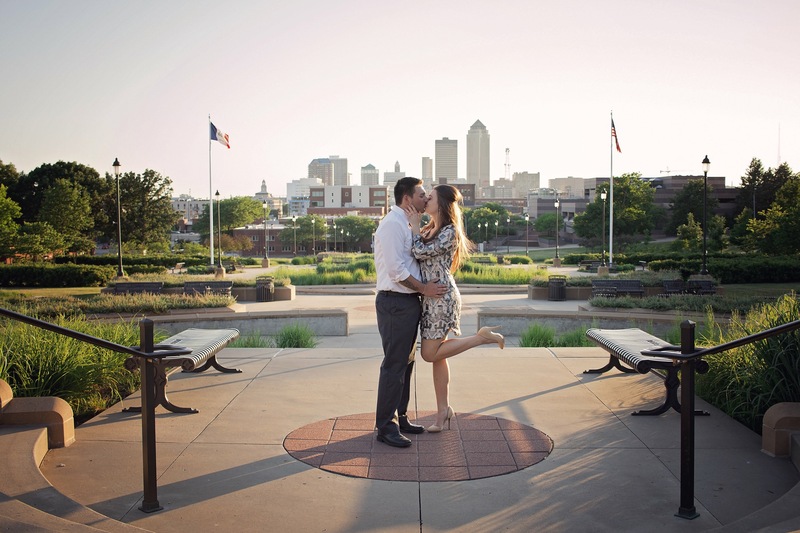 With our moving date soon approaching, I’m excited to see where this piece will find its place in our new home. Leave me a comment down below and tell me what you use your ladder shelf for! By now it’s no secret how completely obsessed I am with essential oils. I love incorporating essential oils into different uses throughout my home. 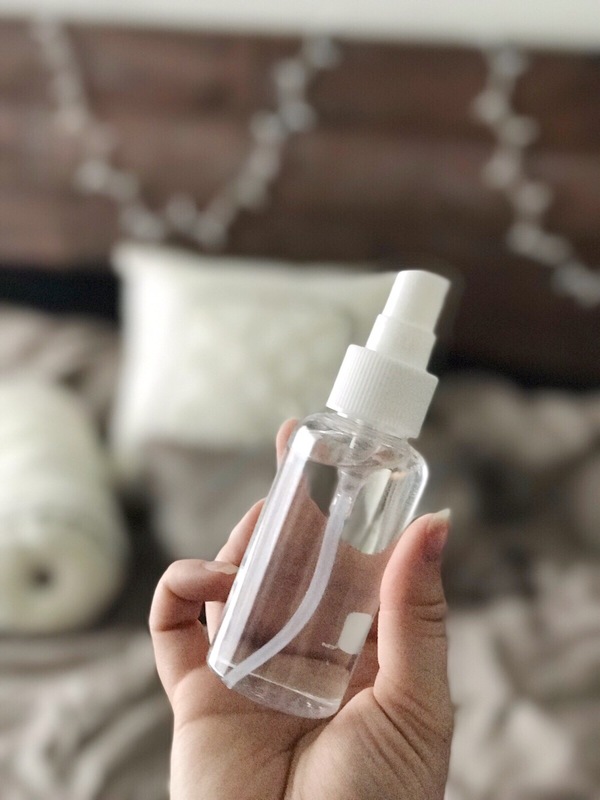 One of my new favorite uses is this DIY linen spray. If you have essential oils, I highly recommend trying this DIY out. You only need three ingredients: water, essential oils, and a spray bottle. So easy and the results are amazing! This linen spray makes me feel like I’m sleeping in a spa every night. It’s a great way to incorporate soothing essential oils into your night routine if you want to opt out of diffusing. I love spraying this while making my bed in the morning so it’s like having a fresh set of sheet every night. 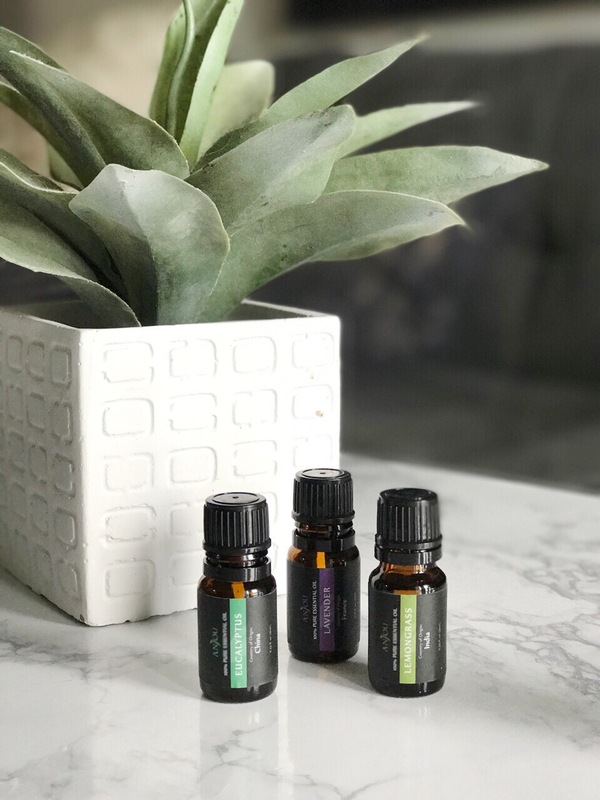 Of course you don’t have to use the same essential oils that I do; but, this combination smells amazing and I highly recommend giving it a go! Leave me a comment below if you try this DIY out! I hope you all are having a wonderful day! I’m back with the fifth installment of this working girls week. I wanted today to give you all some inspiration for your office, be it at the office or at home. I’m sharing with you today some of my dream office designs. All of these images came from a wonderful little obsession of mine (Pinterest). If you haven’t checked out my Pinterest, be sure and do so to check out what other neat ideas I’ve stumbled upon! Leave me a comment below and tell me how you envision your dream home office! 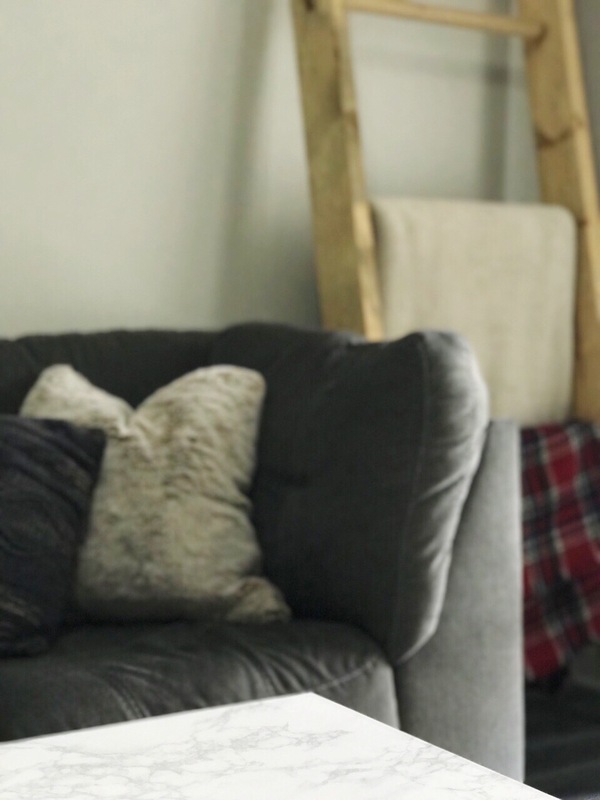 Recently I was challenged by Arhaus to create my dream living room using whatever products I’d like. As an interior designer, you could ask me any given day and I could describe just what that dream space looks like to me. When I started thinking about this project, I visited their website and found many of the pieces I had been dreaming about. So, today I’m sharing my dream living room using all Arhaus products. If you’re an avid reader of mine, you’ll remember how I’ve been crushing on navy and pungent blues lately. I found some really great pops of this color within their line and I’m head over heels! My dream living room is a lush and chic blend. I don’t dabble with too much color, other than this bright punch of blue. I love to rely on metals & textures to speak more than color. You’ll see a huge influence of golds used throughout the space and I must say that it was all inspired by these jaw dropping sheer gold metallic curtains. They’re so unique and I’m obsessed. Leave me a comment below and tell me what your favorite piece is!